What do people get to see on your dating site right after they sign in or sign up? The first impression may be crucial. It makes sense to let them in on the site activities and give them the feel of what it takes to use an online dating service. You will be able to do it with the After-login setup tool. It gives you the opportunity to choose from several options to decide which of the site sections your site members, new and old, will see first thing after they authorise on the site. You can decide to show your site members the homepage with the recent activity wall. It can be the search results based on this person's criteria from the profile. 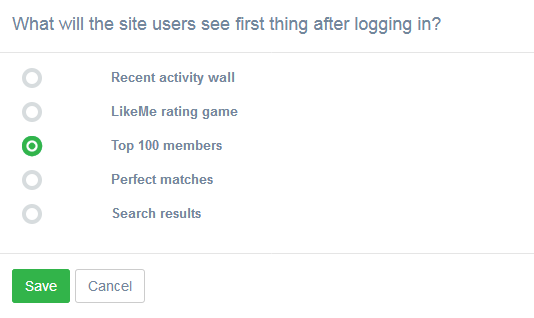 It can be the LikeMe rating game or a list of top-rated members. 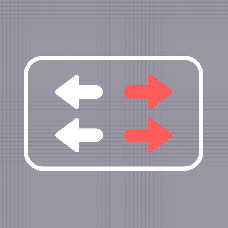 The options are only limited by the number of options that you have on your website. Decide for yourself, and let us know your thoughts!